And here they are gracing my dining table!!!! Its roundup time again!! This time its Think Bayleaf for Think Spice!! I was hoping to get this round up blogged sooner but unfortunately there was a rather low turnout for the event. This led me to consider extending the deadline for it. 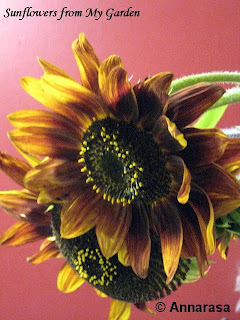 However just on the day that I wrote to Sunita @ Sunita's World about this, I was quite horrified to discover that she had blogged her last post and was planning to give up blogging, maybe not forever, but for a considerable period of time. She also mentioned giving up Think Spice! This sobering news held me back and after some consideration I decided against extending the deadline and wait a while before posting the Roundup. By the way, sometime last week I learnt that Sunita is back to blogging now and I am hoping that she will keep Think Spice going for a long long time:) Meanwhile, here are the lovely recipes!! 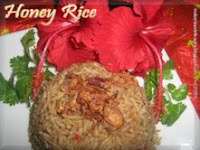 Sudha @ Malaysian Delicacies sent in Honey Rice Honey Rice which she describes as a simple rice dish using honey and bay leaf. Sudha always use bayleaf for my cooking and though show does so for non vegetarian dishes she finds it very useful for flavouring vegetables stir fry recipes too!! 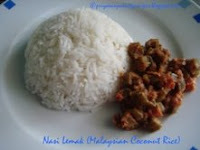 Priyasuresh @ Priya's Easy N Tasty Recipes made Nasi Lemak or Malaysian Coconut Rice. Minu @ Chettinad Fiesta sent in the delicious Chettinad Cauliflower Soup/Broth. Minu says that this recipe is a Chettinad specialty. She notes that this soup is delicious because of the spices used. In fact it is the bayleaf that balances the fragrance of the spices used and makes it unique.